iai American Legend incorporated in Texas in January 2002 at 5625 Star Lane #B, in Houston, with a second address of 1085 Gessner Rd, Suite F, in Houston. The corporate records for iai American Legend identify "Benjamin Shnitman" (alias Benjamin Shney) as a Corporate Director. The name change and "location" change was administrative only. Operations remained the same. Bankruptcy court records later filed by Benjamin Shney for Israel Arms International in August 2003 identify Nehman and Shney as the owners of the company and indicate that in 2001 Shney had no longer been able to fund the business. Funding thereafter was provided by a secret partner, Rami Amir of Houston, TX. The May 2002 issue of S.W.A.T. Magazine p.53-55 & 77 carried an article entitled IAI's M888 Carbine, A Piece of History Revived. Approximately half of this article discusses the U.S. GI M1 Carbines manufactured during WWII, the other half being devoted to test firing the IAI M1 Carbine. The carbine provided for testing was new and encountered a few malfunctions in the first magazine fired. After lubrication there were no more failures. The author's opinion was the carbine needed a break in period. The results where even better than those obtained by The American Rifleman authors, with Federal Jacketed soft points producing a 1" group at 40 yards and Lake City ammunition producing a 2" group. The author's only negative comment was the initial trigger pull, which he did not comment on after the carbine had been broken in. This article may have been written before the name change of IAI to iai American Legend. The Twenty-Eighth Edition (2007) of The Blue Book of Gun Values indicates iai American Legend sold Israel Arms International's "American Legend series" and distributed the Model 888 M1 Carbine (1998-2004), Model 333 M1 Garand (2003-2004), and the Model 2000 .45 ACP caliber semi-automatic pistol (2002-2004), which was based on the Colt 1911A1 pistol. The book indicates the M1 Carbine was manufactured by IAI in Houston and the Model 2000 handgun was manufactured in South Africa. By the end of 2001 distributors began receiving IAI carbines with a different cast receiver, this one cast by Lamothermic Corporation of Brewster, NY and finish machined by SMI-MA Inc. of Worcester, MA. SMI-MA Inc. (Saeilo Manufacturing Industries) is a CNC machining company with facilities throughout the USA. They are a member of the Saeilo Group, which is owned by the Reverend Moon of the worldwide Unification Church. The Saeilo Group includes Kahr Arms, which was founded, owned, and managed by Moon's oldest son, Kook Jin "Justin" Moon. Kahr Arms acquired the Auto-Ordnance name in 1999. 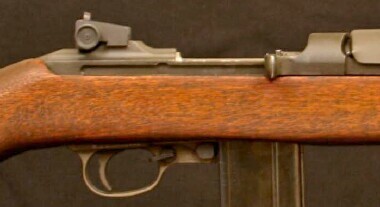 This receiver retained the U.S. M1 Carbine Cal. 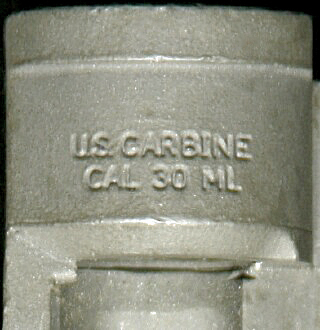 30 ML marking as well as the webbed front lug the trigger housing attached too. The IAI marking on the rear of the receiver was changed to lower case. 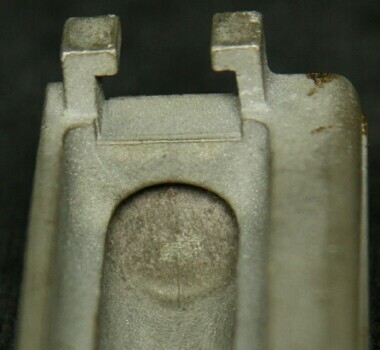 The number of notches in the slide groove on the right side of the receiver was changed from two to one (slide dismount notch). The tooling and mold used for the casting of these receivers was different than previously used by IAI. The iai American Legend website in 2002 indicated the following. "The 22 Caliber M1-Carbine, 5.7 Johnson or 22 Spitfire, has been a favorite wildcat of the M1 Carbine owners for a long time. After an absence of many years, the cartridge and barrel again lives at IAI Inc. This cartridge is a .30 Caliber M1 Carbine case necked down to 22 Caliber. Velocity up to 2,800 FPS with a 40 grain 22 caliber jacketed soft point is realistic giving this little cartridge lots of possibilities. Introduced by Mr. Mel Johnson in 1963 and produced by Plainfield and Iver Johnson, the caliber had almost disappeared until resurrected by IAI Inc. Starting January 2002 IAI went into a full production of the rifle in that caliber, along with its M888-M1-Carbine .30 Caliber that is being produced for the last 5 years as the only M1 Carbine new production. Ammunition is available from IAI Inc., and it will be available through IAI's distributors and dealers. 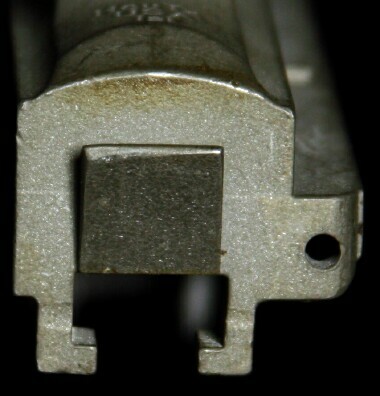 Starting February 2002 IAI Inc. will be offering a new made conversion barrel manufactured by the company (a complete barrel including a gas cylinder and piston nut)." 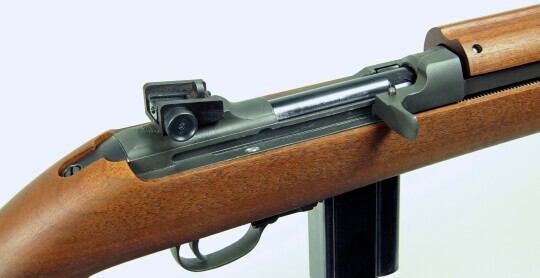 The receiver used for the .22 Spitfire was the same receiver as the .30 caliber carbine version, with the exception of the markings on the receiver ring being "U.S. Carbine Caliber .22 ML". 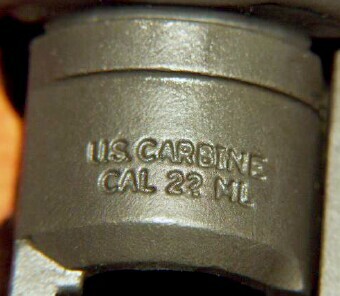 The caliber marking was mandated by Federal law. Because the cartridge retains the .30 caliber carbine casing dimensions where it is engaged by everything other than the barrel, the only difference between this carbine and the other iai carbines is the barrel and markings on the receiver ring. This includes the magazine, manual, replacement parts, disassembly, and reassembly. The "conversion kit" consisted of a barreled receiver with an attached front sight, rear sight, barrel band and gas piston. Included were a 15 round .30 caliber carbine magazine, M888 manual (the same as the standard Model 888 carbine), .22 Spitfire ammunition samples, and a sheet with reload data on the 5.7mm Johnson/.22 Spitfire ammunition. The serial numbers used on this model and the "conversion kit" receivers were randomly selected from the ongoing serial number sequence used for all of the IAI/iai carbines. Therefore the serial numbers for this model are not sequential and not specific to this model. They may appear anywhere after the change to the iai markings at approximately M888-R207000. The cartridge used by this rifle is currently recognized as the 5.7mm Johnson. The cartridge was invented by Colonel Melvin M. Johnson Jr. (Johnson Arms) in the early 1960's in an attempt to provide the M1 Carbine with a more potent cartridge. The .30 caliber carbine casing is necked down to hold a .224 caliber bullet moving at a velocity of about 2800 fps. This cartridge is commonly known as a "wildcat" as it's a hybrid of the .30 caliber carbine cartridge and has never been manufactured by other than a few small companies making limited quantities. Reloading dies for the 5.7mm Johnson are still manufactured by Redding and other die makers. The bullets and powder are readily available and used for other reloads besides this cartridge. The casings used are the .30 caliber carbine casings. Reloaded ammunition, newly manufactured ammunition from companies who accept special orders, and the reloading components are available at a number of different websites including Gunbroker.com. A word of caution, never use reloads in this carbine or any M1 Carbine unless you can insure they have been sized and reloaded properly. Improper reloads are one of the most common causes for catastrophic failure of any centerfire firearm. The other most common cause is improper headspace. Headspace gauges are available for the 5.7mm Johnson carbines. 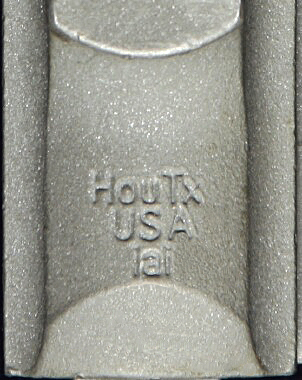 Ammunition sold by IAI/iai was loaded by Bullet Manufacturers Inc., of Kingwood, TX. This company is no longer in business. Quality reloaded ammunition may be obtained from Graf & Sons of Mexico, MO through their website. Search for 5.7mm Johnson. The Commemorative Model M888 was a standard Model 888 .30 carbine or 5.7mm (.22 Spitfire) Model with a "commemorative" stock. 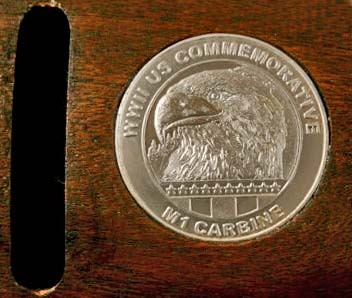 The only difference between a "commemorative" stock and a regular stock is a medallion inset into the right side of the stock. The only other difference between this model and the other models was a higher price. These were first sold after the company name change to iai American Legend. The serial numbers were those already on the receiver before it was placed into the stock. In June 1999 Israel Arms International, Benjamin Shney, and Richard Nahman began having legal problems related to the illegal importation of a shipment of one thousand 1911 receivers from the Philippines for their Model 5000 .45 semi-automatic handguns known as the Gal(case#: 4:00-cv-04081). The receivers were seized from the Hartsdale address pursuant to a Federal search warrant (case #: 4:99-mj-00580). The case was not filed for prosecution until May 2004 (further below). In August 2003 Israel Arms International and Benjamin Shney filed for Chapter 7 bankruptcy in Federal Court in Houston (case#: 03-42315). The documents identify Shney as the company president, Nahman as the vice-president, both owning a 50% share of the business. Benjamin Shney indicated that in 2001 he had no longer been able to fund the business and funding thereafter was provided by a secret partner, Rami Amir of Houston. The court records indicate Amir purchased parts through October 2003, two months after IAI initiated bankruptcy proceedings. Total debts owed exceeded $1.6 million. In 2004 Numrich Gun Parts of West Hurley, NY acquired a quantity of IAI receivers, .22 Spitfire barrels, and M1 Carbine parts from the sale of the assets of IAI. In The American Rifleman May 2006 p. 50-51, 76-78, there appeared an article entitled The Return Of The M1 Carbine by Mark A. Keefe, IV, Editor-In-Chief. 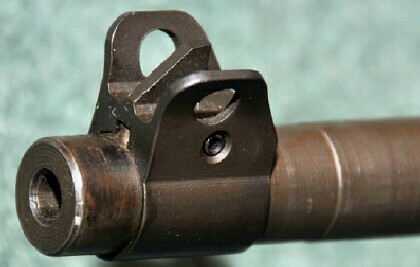 This article is available online at Tommygun.com, Auto-Ordnance's website for items related to their products. The author states, "at the SHOT Show two years ago [Feb 2004], I was literally stopped in my tracks by the sight of an M1 Carbine resting on the lowest peg of a rack in the Kahr Arms/Auto-Ordnance booth. It had the late parts and ventilated-metal handguard of the IAI M1 Carbine we reviewed in these pages in January 2001. "You don't make these," I said to Frank Harris, the firm's vice president of sales and marketing, as I turned the gun over and over in my hands. "We do now," he replied." Kahr had been machining receivers for IAI, but after some business difficulties with IAI, Kahr decided to go into carbine production under its Auto-Ordnance name. A number of different companies acquired receivers and barrels left over after the demise of iai. Some of these companies inherited them as they were involved in the manufacturing and machining of these items and had them in their possession when the company ceased doing business. 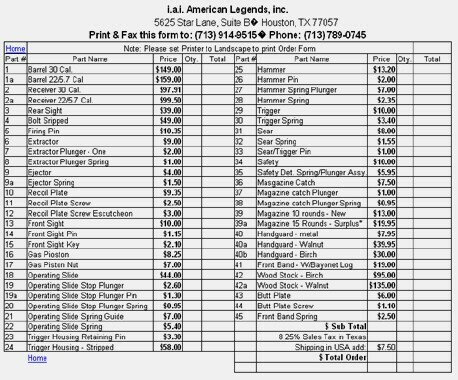 Others purchased barrels, receivers and parts from the bankruptcy trustee's auction. Others purchased these items from those who bought them at the auction. 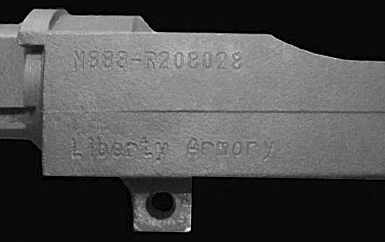 The name of Liberty Armory sporadically appears on the left side of the receiver of serial numbers starting at about M888-R204600 through approximately M888-R208025. There has been one carbine reported that has the name of Liberty Armory on the top of the receiver behind the rear sight, instead of any of the various markings used by IAI/iai. This was a gift from Larry Horner to the owner of the carbine. Larry Horner reported that after the demise of iai he was provided with a number of left over receivers and parts in lieu of some of the money he was owed. He finished assembly of at least some of these carbines. Given those that have the Liberty Armory name on the left side are often not consecutive serial numbers but sporadic from the latter part of the IAI/iai production, these may be the ones provided to Larry Horner that already had the IAI/iai markings. Larry Horner and Liberty Armory were one and the same. Larry Horner passed unto God on 23 Jun 2005 at the age of 63. Special serial numbers were used for a small number of one of a kind carbines for certain individuals affiliated with IAI, or, who assisted IAI. Larry Ruth, author of War Baby! and War Baby Comes Home, received serial number 001 for his technical assistance. IAI is also known to have had several experimental models with two digit serial numbers preceded by the letters EXP (EXP 01). After the demise of Israel Arms International one of the companies left with IAI parts and receivers was Time Precision of New Milford, CT. In 2012 and 2013 they assembled carbines using IAI receivers. Parts for these carbines were a combination of GI parts and leftover commercial carbine parts reparkerized with a new finish. Stocks were GI, used commercial stocks, or new production stocks manufactured by Boyds Gunstock Industries of Mitchell, SD. Serial numbers of these carbines tend to be above M888-R20900 and should not be confused with the carbines manufactured by IAI. These are very nice carbines manufactured with a lot of attention to detail and safety.